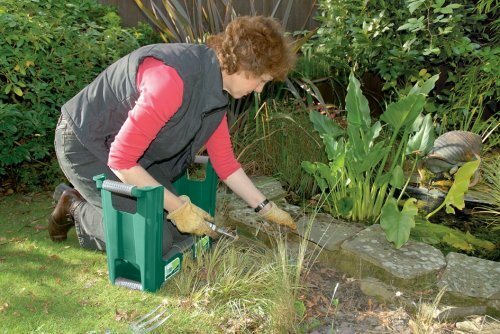 For around £15 this kneeler seat from the brand Draper, is a very popular choice for gardeners up and down the United Kingdom. It is not perfect but it does get many things right, and it is certainly worth a closer look and review. 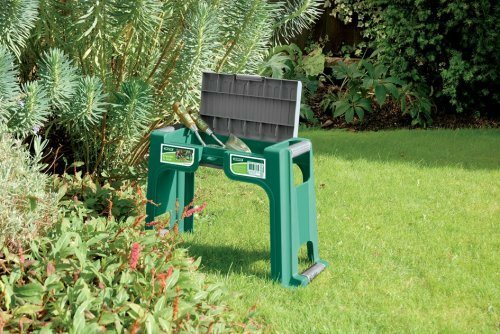 If you like the idea of owning a kneeler, that is also a seat and comes with storage, then this Draper model ticks each of those boxes. Overall buyers give this particular kneeler an 88% satisfaction rating. It is as I said, a good choice but not without its flaws. Most buyers used this for the gardening purposes of weeding or planting. Others used it for various tasks like fixing things outside, at their allotments, for cleaning shoes and any task that would require some sitting and sometimes a bit of kneeling. People also use this for around their yards, patios, vegetable gardens and large areas of muddy ground. It is also useful to tidy up plots at the graveyard. Other people use it in their greenhouse, their allotment and on hard decks to do planting. Clearly there are many uses for a handy gadget like this one. Now I did mention that this kneeler has its good points and bad points. I have summarised those below. Not suitable for people over 14 stones, or for those who have to exert a lot of pressure on the handles to get up from a kneeling position. 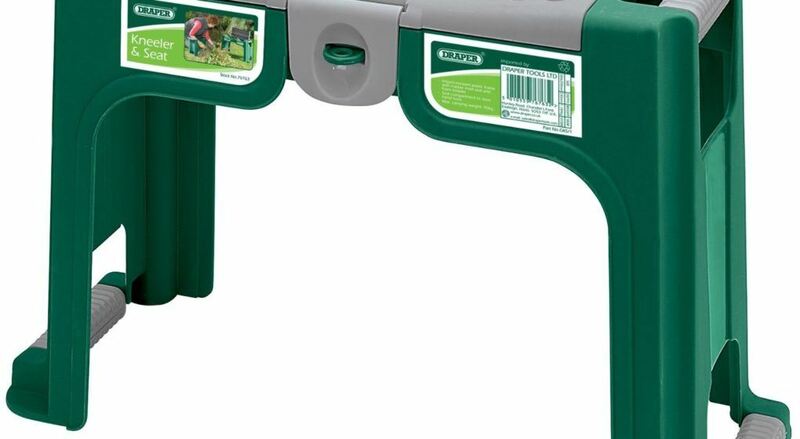 There are thousands of gardeners who own this product and it has a 88% satisfaction rating. It is not suitable for heavier or taller people in my opinion. For £15 though, it is good value for money. If this is not the kneeler seat for you, then check our top rated list by clicking here.